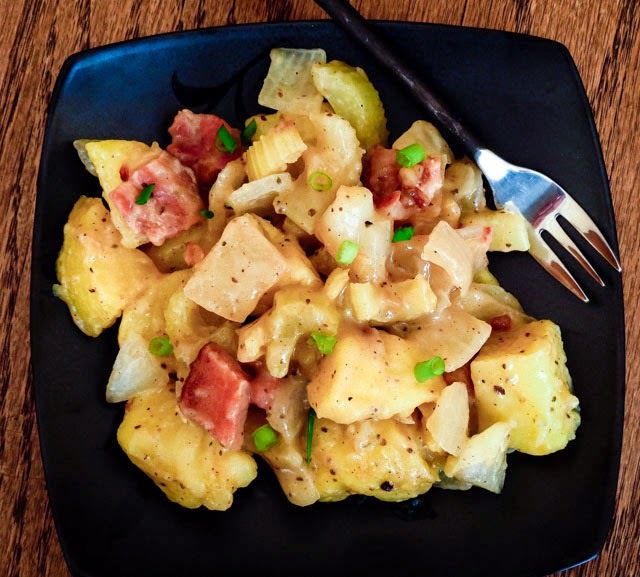 OnTheMove-In the Galley: German Potato Salad - the family version. One tasty variation substitutes chunks of smoked sausage for the bacon - similar, but different. Yummy!